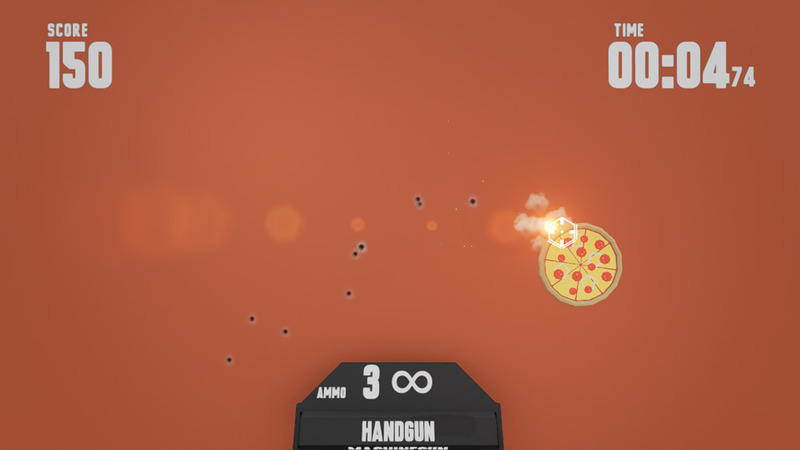 "A challenging game where you need to shoot pizzas!" 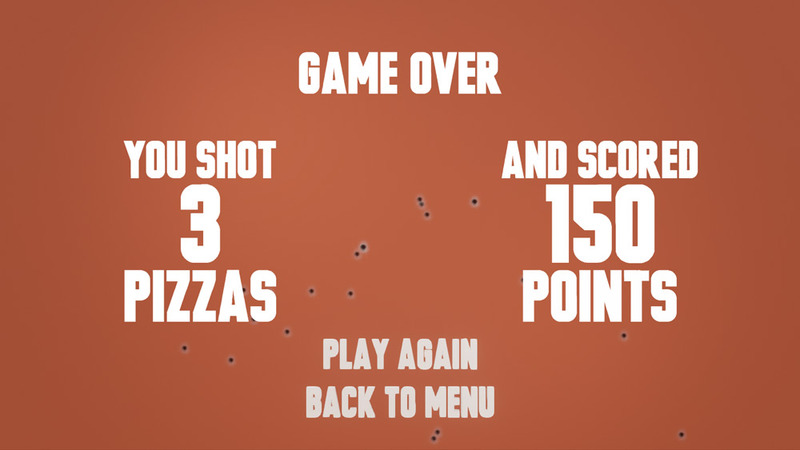 Shoot That Pizza is a very simple game, well simple as in all you do is shoot at pizzas that fall from the sky however although the idea behind the game is simple actually managing to shoot those flying pizzas is the hard part, this may partially down to the responsiveness if you’re using a mouse rather than a controller you very well may struggle as these pizzas aren’t just flimsy lumps of dough you’ll need to either shoot it dead on or put a couple of bullets in it for it to count towards your points score which meant that our scores were very well on each attempt, also you can shoot mystery boxes that will give you different types of ammo to shoot with such as a machine gun or rail gun and you will need to try to collect these quickly so that you can hopefully use the added power of the weapons to really take down those pizzas! 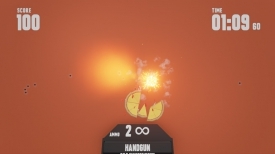 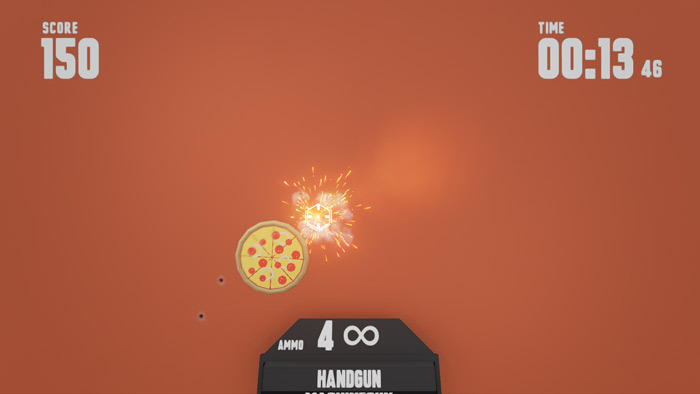 Shoot That Pizza is likely to give you some enjoyment if you’re looking to just shoot some inanimate objects and certainly provides a challenge if you’re using a mouse to control and shoot your gun but a bit more polishing and working on the aiming system would have been hugely appreciated, it’s worth bearing in mind that this was made for the Idle Thumbs Wizard Game Jam within a short time limit so a few rough edges are to be expected. You can download Shoot That Pizza here for free.